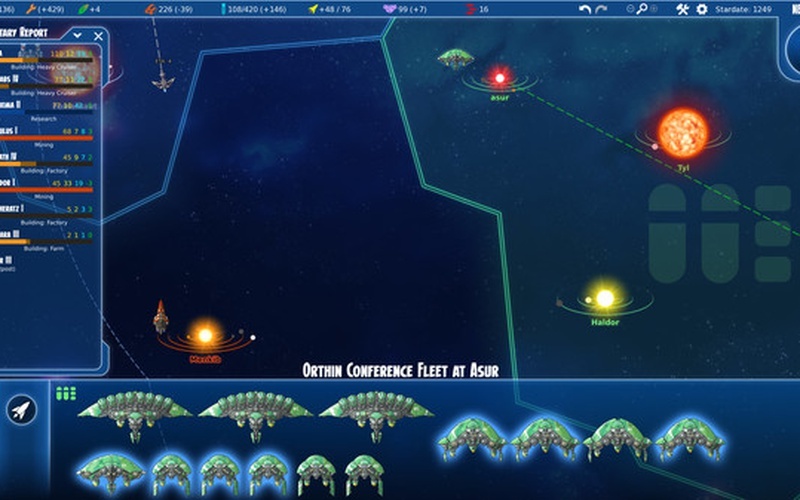 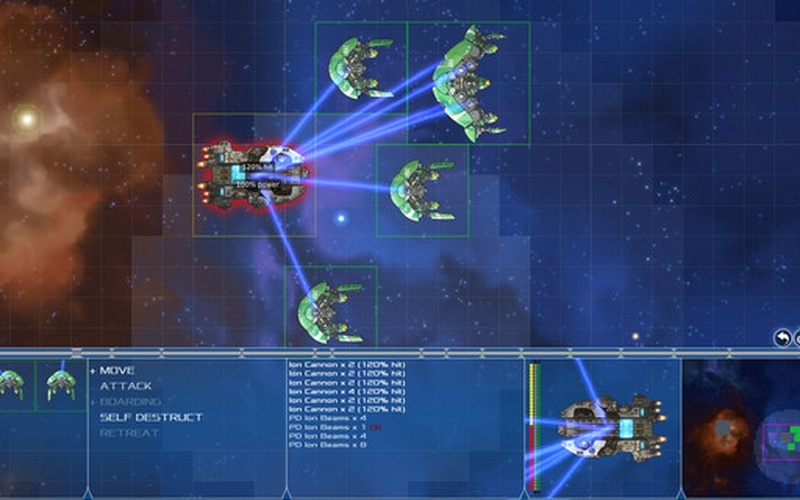 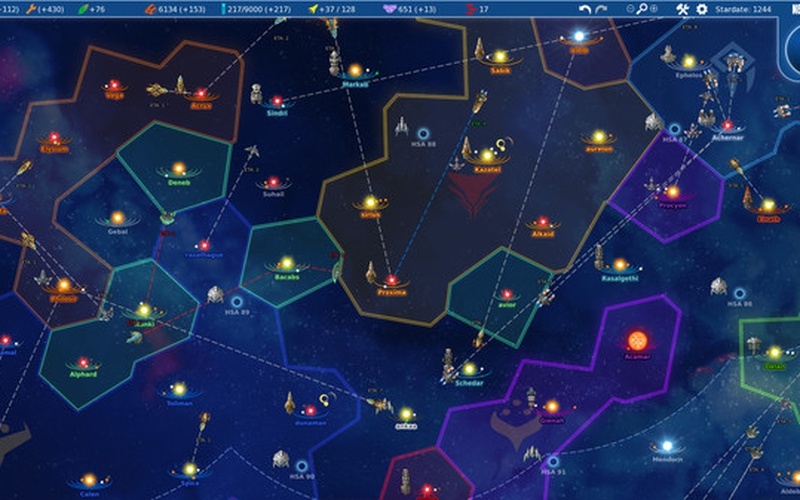 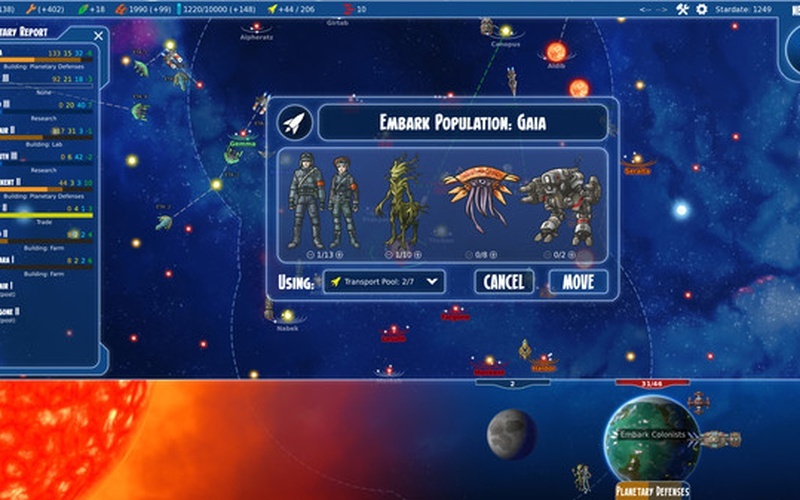 Stars in Shadow is a turn-based 4X sci-fi strategy game in which you explore the distant stars, settle new worlds, and create your very own interstellar empire that will stretch through the known cosmos. 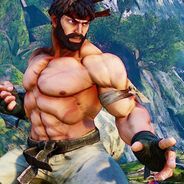 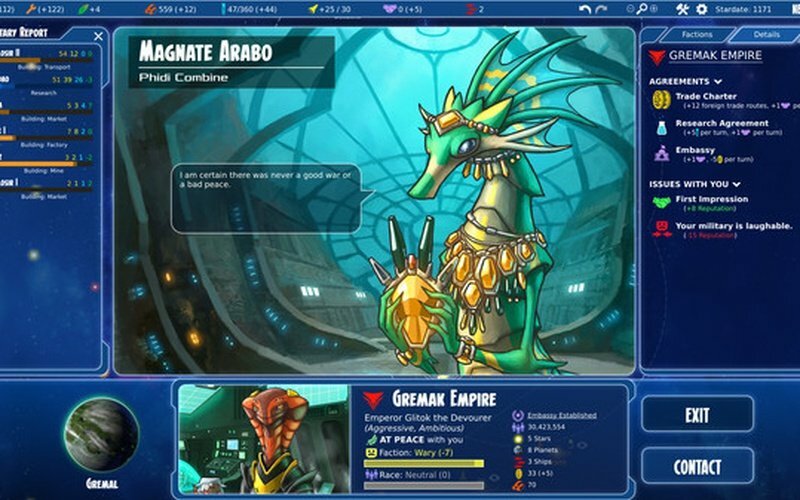 The game was developed by Ashdar Games and published by Iceberg Interactive on January 19th, 2017. 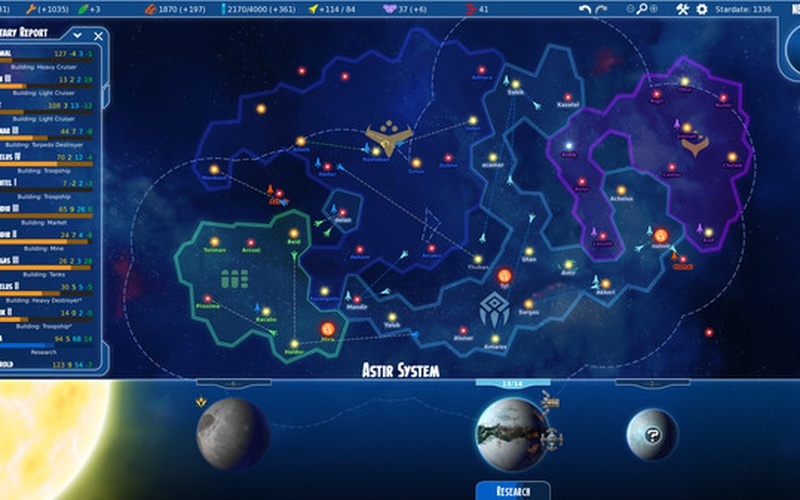 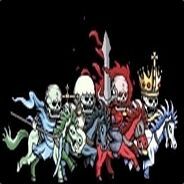 A streamlined and simple empire management system, gripping turn-based tactical combat, and elaborate and immersive world building. 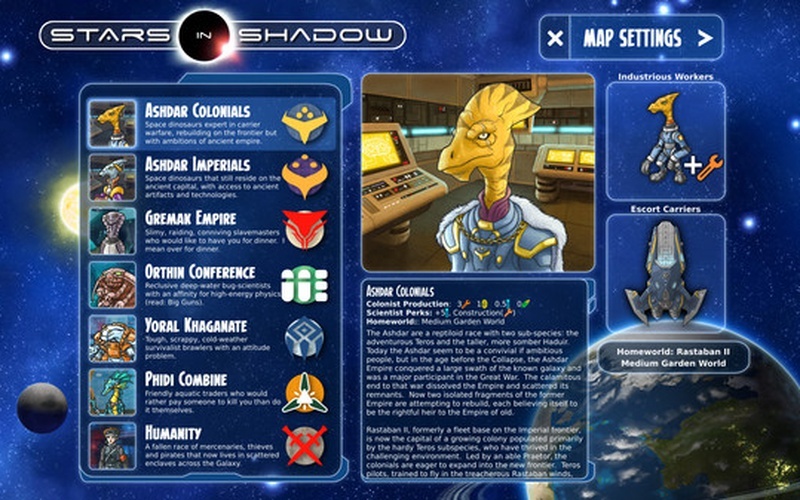 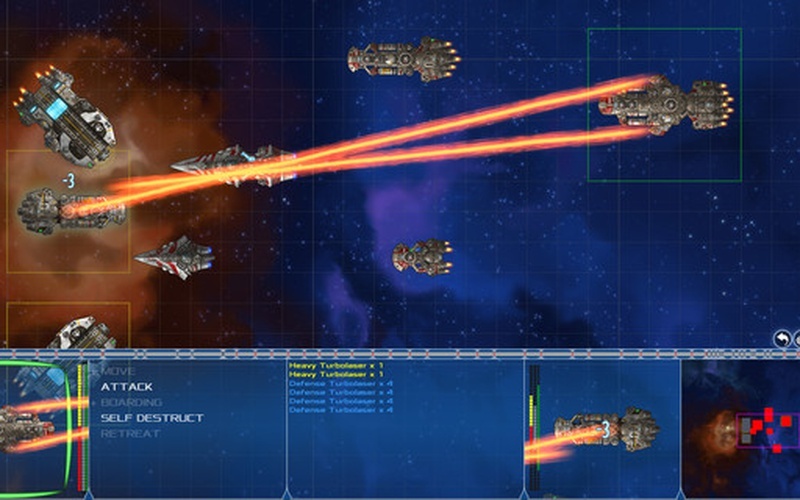 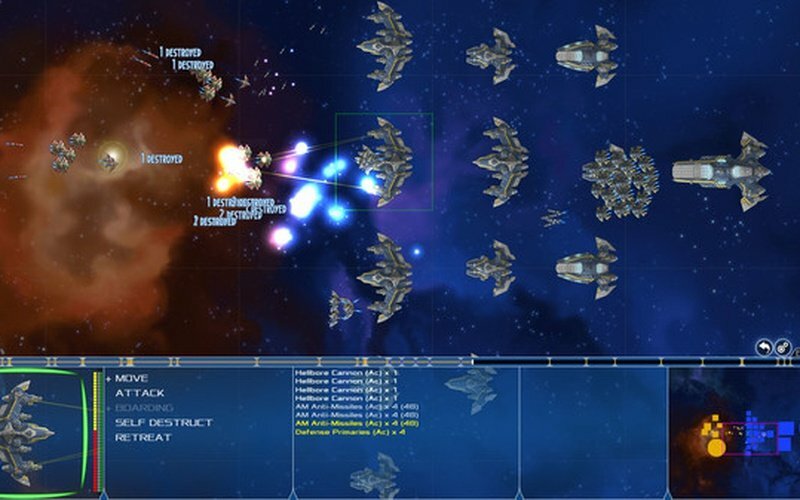 Stars in Shadow has it all, and the game starts at an age where interstellar travel just became a reality, so you can look forward to 4 eras of technological advancement that help you uncover the secrets of planetary terraforming, transforming your ordinary infantry into battle mechs, and leaving behind puny armadas in order to get Dread Stars, powerful units that can raze entire planets! 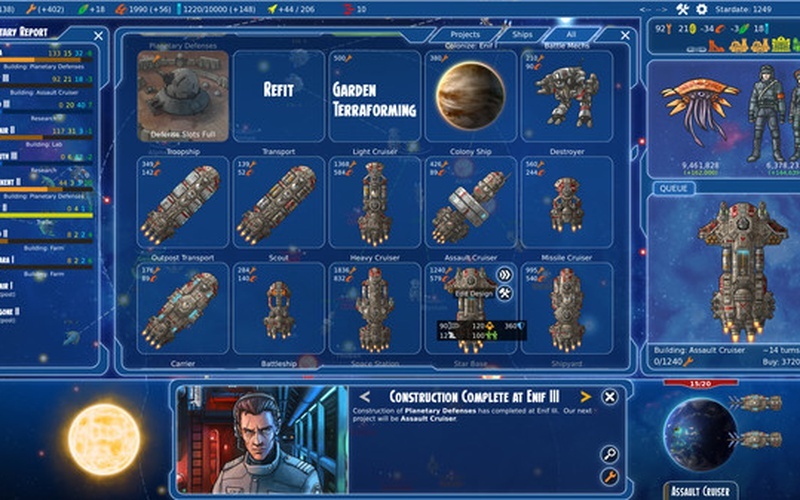 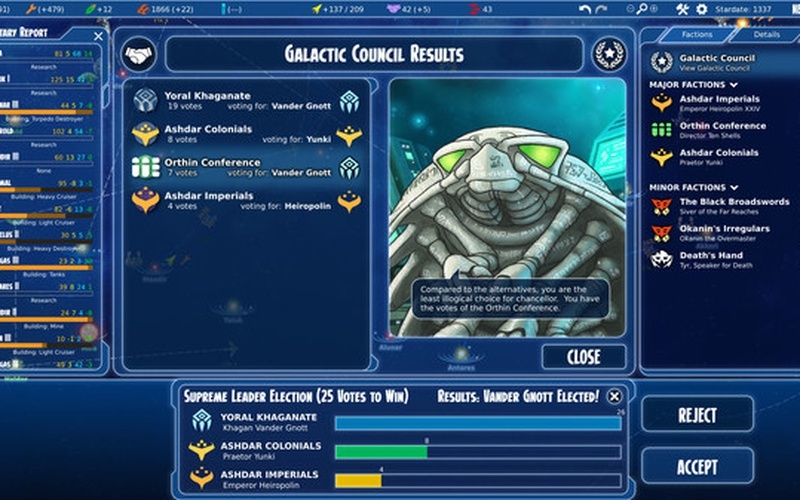 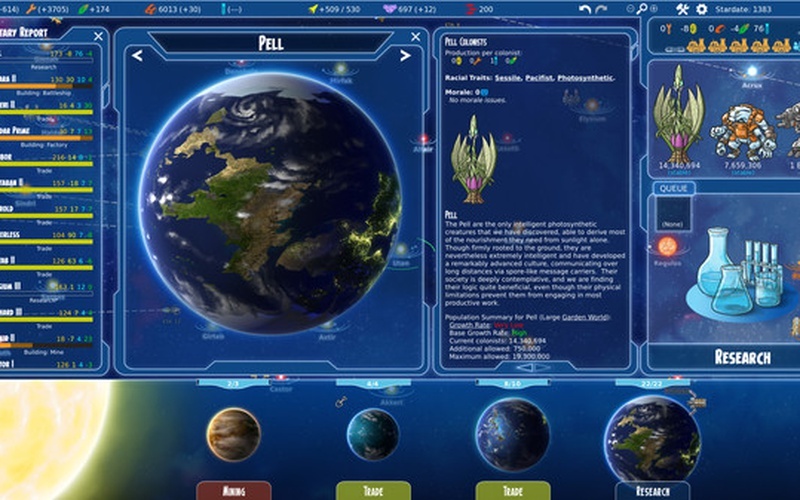 The game features 7 playable factions that are comprised of 6 alien races, and each faction has their own technological options and research strengths, so that players can pick the faction that suits their playstyle the most. 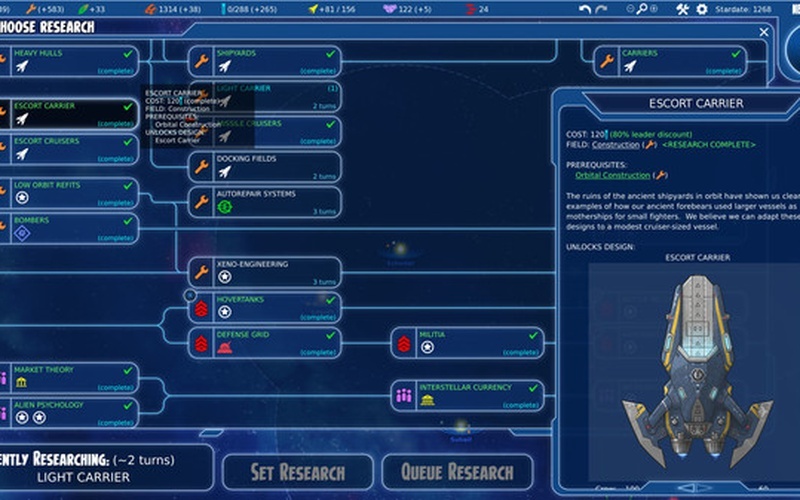 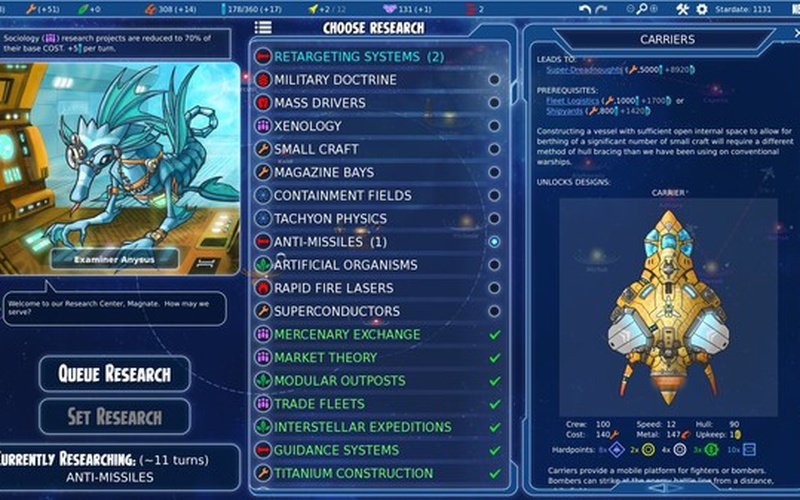 Form alliance with other factions if you need help, conquer any neighboring factions if they present a threat, and search for powerful artifacts that can uncover new avenues of research. 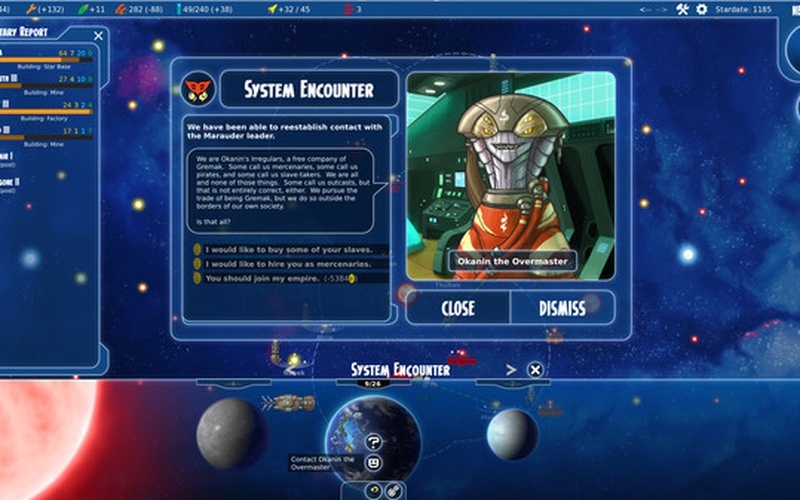 A unique comic-book art style gives the game a pleasing and very special look. 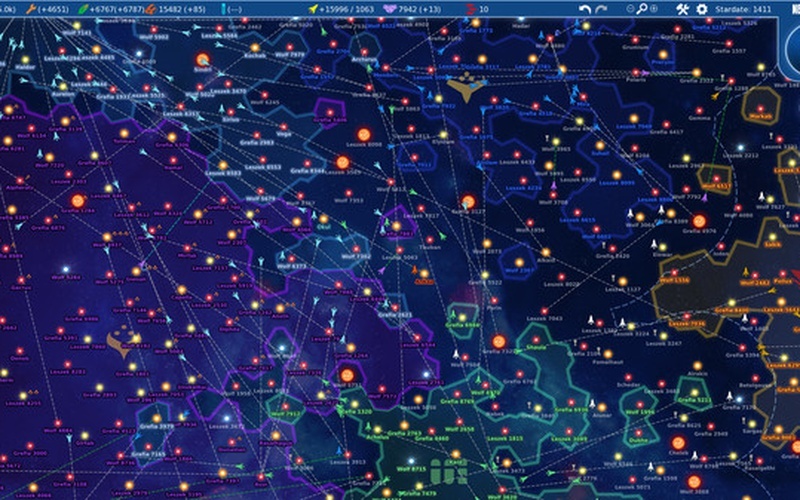 There's a quirky cast of alien characters that you can befriend or anger, love or hate. 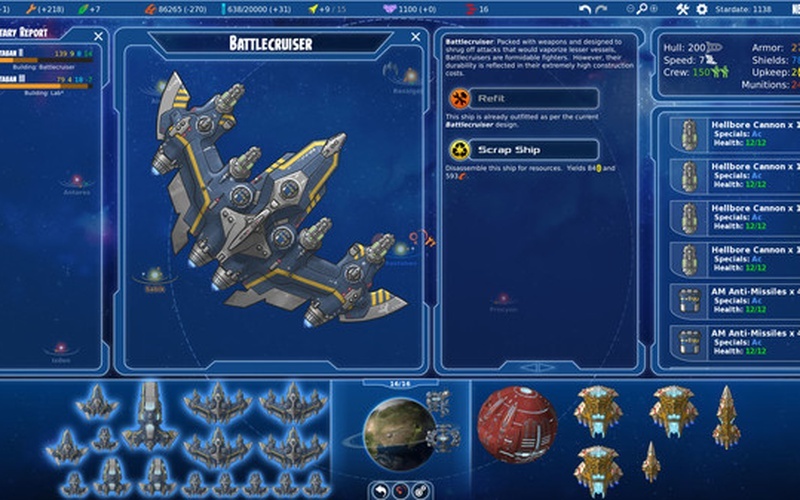 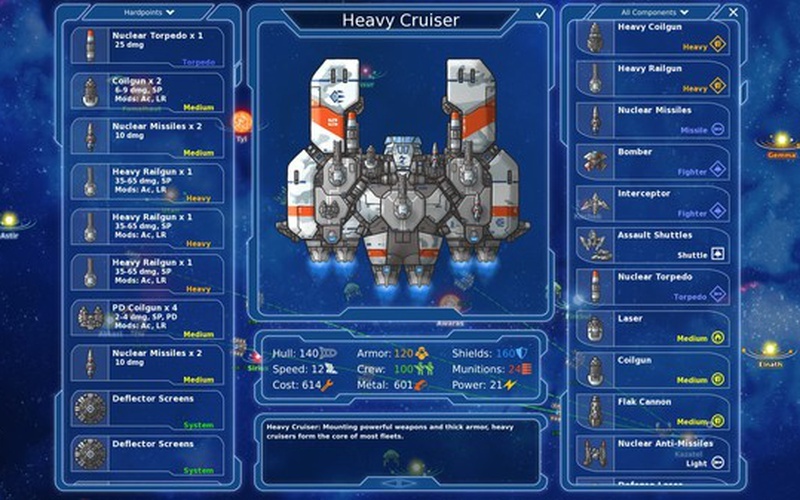 Stars in Shadow offers intricate empire building in space, complex 2D turn-based battles which can be done by yourself or with the auto-resolve option, multiple factions, each with their own strengths and weaknesses, and much more!